Matthew entered the world of billiards by working as a store manager for a company called Family Game Rooms, there were over 40 stores in this company from PA to NH. Family Game Rooms offered high end game room furniture. 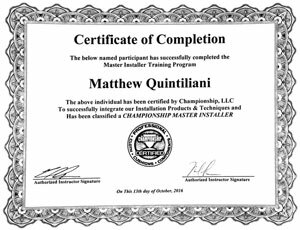 In order to better himself as a sales person he went out with the installers several times to learn how the tables go together and come apart and see some of the competitors tables. 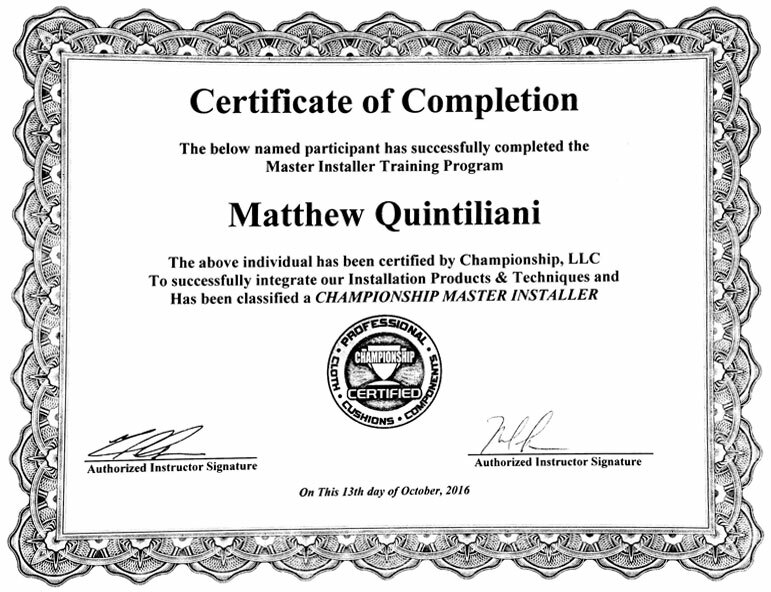 After leaving Family Game Rooms he began working with a pool tables installer that has been in business for over 20 years. Learning the trade from a veteran he avoided all the upsetting mistakes (learning curves) of learning a new trade. After a few months of working under someone he decided to open his own business and run "Mr. Cue's" part time while working as an account executive at a reprographics company. Once the high tech industry crashed in early 2000 he decided to start "Mr. Cue's" as a full time operation. Now "Mr. Cue's" subcontracts for dozens of businesses in the NH and MA areas and continues to advertise on his own in NH, MA, VT, and ME. "Mr. 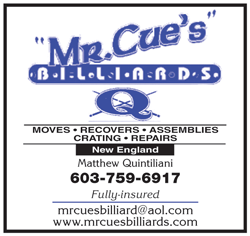 Cue's" is fully insured and has 16 years of experience working on JUST pool tables. He stands by his work 100% and knows he is one of the best in the field at what he does!